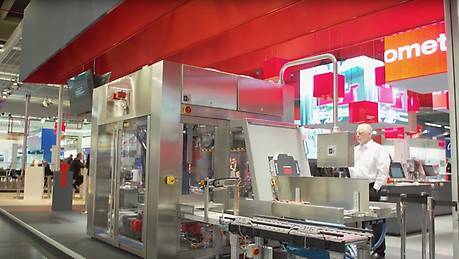 What exactly does drive engineering contribute to your applications and automation solutions? We think it's something really important – diversity! When it comes to drive engineering, diversity gives you the scope and versatility you need to put your solutions into practice, satisfy automation requirements, achieve lean structures and deliver cost-effective processes. Smart, customized drive technology is a key element in your optimum solution. Diversity centered around applications – that is what it's all about. 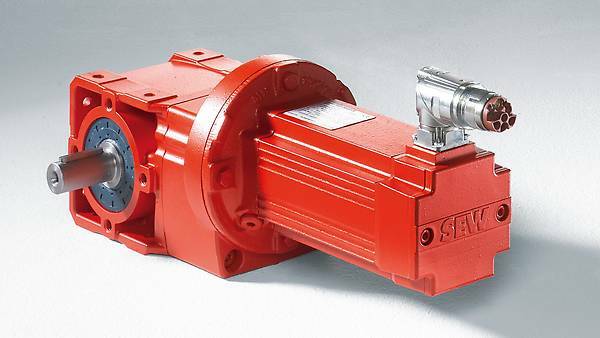 The range includes gear units for standard and servo applications that come in different sizes and with different outputs, speeds, torques, designs and varied finishes, all combined with asynchronous or synchronous AC motors. Linear motors, electric cylinders, brakes, built-in encoders and diagnostic units provide the finishing touch for this wide-ranging portfolio. Naturally, the products have all the necessary worldwide approvals. State-of-the-art drive engineering and automation technology – particularly power electronics – are increasingly melding into each other, with the result that wiring and installation work are eating up more and more time and money. Customers in the mechanical and plant engineering sector need to design machinery, systems and applications that require minimal outlay and materials but can be started up quickly and easily. In many applications and logistics and system concepts, integrated, decentralized drive engineering has the potential to reduce overall costs, which makes it a technically efficient alternative to centralized automation technology. 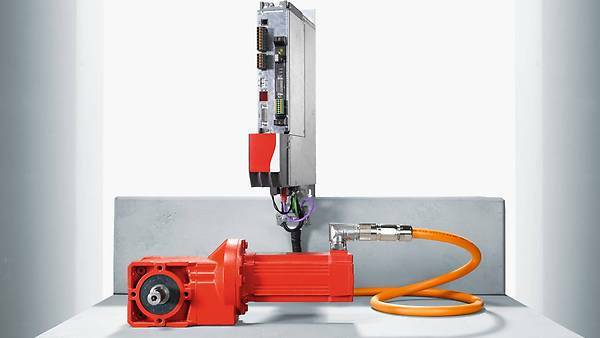 The MOVI-C® modular automation system offers special components for use in decentralized installations, applications and system topologies, such as the fully integrated mechatronic MOVIGEAR® performance drive system and the pairing of MOVIGEAR® classic with MOVIMOT® flexible electronics, which are installed close to the motor. What’s more, these systems already deliver an efficiency rating of IE5 (to IEC TS 60034-30-2) and boast unsurpassed overall system efficiency. As a result, they combine the advantages of decentralized installation with the benefits of the MOVI-C® modular automation system. As a customer or user, do you think it's important that drive components for decentralized applications offer maximum standardization combined with optimum efficiency, modularity and flexibility? We are only too happy to meet those demands for you. These compact, decentralized drives from the MOVI-C® modular automation system are the ideal partners for decentralized installations, machines, logistics scenarios, applications and system topologies. Moreover, they already comply with energy efficiency class IE5 to IEC TS 60034-30-2 and exhibit unrivaled IES2 overall system efficiency to IEC 61800-9-2. 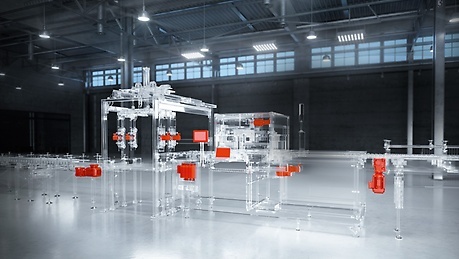 The MOVI-C® modular automation system combines the advantages of a decentralized installation – namely, saving space and lowering costs – with the modularity and flexibility of our overall modular concept. The advantage for you is that you can get everything you need from one manufacturer. The decentralized inverter MOVIMOT® flexible (MMF..) is available with a nominal current from 2 - 5.5 A for asynchronous motors with a rated output from 0,55 – 2.2 kW. 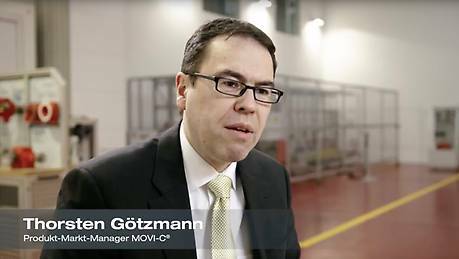 MOVI-C® provides you with everything you need to design your machines and systems with freedom and flexibility, regardless of your industry. The mechanical side of the range is being extended, with new elements available from 2018. 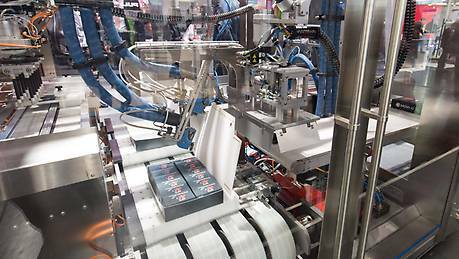 The first is single-cable technology with a digital encoder for synchronous and asynchronous AC motors. 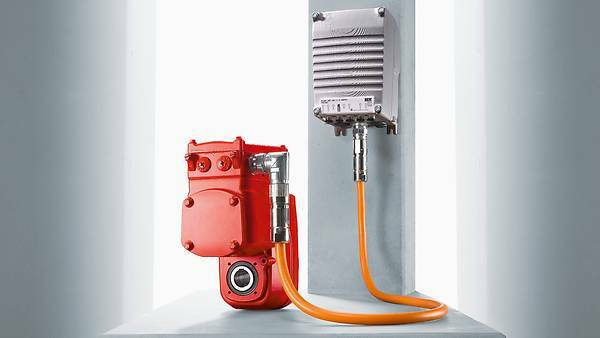 Thanks to this new solution, just one hybrid cable is required and installed for the data connection between the frequency inverter and electric motor. The second innovation is the new digital MOVILINK® DDI data interface, which sends performance, brake and diagnostic data to the motor. You'll see that everything slots into place with us! And linear motors and electric cylinders round out the modular motor system. Combined with a wide range of brakes, encoders, plug connectors, forced cooling fans, special coatings and surface treatments, the modular system has the ideal drive for your application.